The guidelines for the management of the religious institutes have been outlined in a circular letter signed Aug. 2 by Cardinal Joao Braz de Aviz, Prefect of the Congregation for Institutes of Consecrated Life and Societies of Apostolic Life. The letter did not grab media headlines, since the focus was rightly on the tragedies Christians are living in Iraq as well as in many other countries. Yet, this document may be considered one further step toward the Church’s “reform of charity.” This reform is aimed at improving the management of funds, highlighting a needed alignment between works and mission, and – in the longer term – informing a new approach of religious institutes to these issues. As ever-more worrying news from Iraq arrived, the war in Syria is almost forgotten, the Ukraine crisis is overshadowed by other crises and the Palestinian-Israeli conflict is sidelined, religious congregations continue to work on the ground side by side to the people. In North Korea only courageous missionaries are able to cross the 38th parallel border. And religious orders are also in the frontline in Africa, coming up with resources, running field hospitals and managing charities there, were the worst outbreak of Ebola of the last forty years has happened. In scenarios of crisis, the principle of subsidiarity, one of the pillars of Catholic Social Teaching, becomes dramatically concrete. Religious orders, attentive to and meeting the needs of the people, turn for help to the Church’s institutional charities, which in turn are coordinated by the Holy See under the umbrella of a common vision and institution. Subsidiarity is in the end quite natural, but some juridical steps were needed to put everything in a proper framework. This kind of reforms took many years. In establishing the Pontifical Council Cor Unum in 1971, Paul VI wanted to make of the Holy See the center of universal charity. Under the umbrella of Holy See sovereignty, the Church’s humanitarian experts could help coordinate efforts and ideas to help those who are poor and living in the existential peripheries. For this same purpose, Paul VI had promoted the institution of Caritas Internationalis during the 1950s, while he was the deputy at the Vatican’s Secretariat of State. And also for this same purpose, Paul VI backed the foundation of Italian Caritas in 1971. For years, charitable activities have been managed through well tested procedures: collection of funds, distribution of goods, helping the people, and speaking up when fundamental rights were violated. Later, step by step, a more diplomatic angle came into play. Christian charities on the ground started to abstain from speaking up critically, in order to have a good working rapport with governments. This, they thought, would help the mission. It was true, to some extent. But this approach also gave rise to the perception that the Church’s charities were merely NGOs. 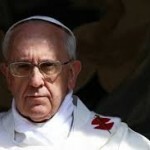 Pope Francis has often spoken about the risk of the Church being seen as just a “merciful NGO”. He has lived through this challenge in Latin America. There, priests go to the peripheries, and are considered social workers. The focus on the poor has become a humanism without God and without the announcement of the Gospel. This is one of the reasons behind the exodus of so many Catholics there toward the evangelical sects. Benedict XVI was aware of the problem, and many of the interventions he made during his pontificate illustrate it. Increasingly often, Benedict XVI urged the Church to watch out for self-satisfaction with its own structures, underscoring that a Church without God at her center is at risk of fading away. He even welcomed secularizing trends that ultimately brought the Church to focus on mission by removing her from temporal power. With these issues before him, Benedict XVI began his quiet revolution in two acts. First: the reform of Caritas Internationalis’ statutes. The reform reinforced the collaboration between the institution and the Holy See, clarified the responsibilities of the Secretariat of State and offered a global theological vision, which can be summarized with the motto: charity in truth. The Motu Proprio goes to the roots of the Church’s service of charity and deals with functions and tasks of the Pontifical Council Cor Unum. These two acts of government are an outcome of Benedict XVI’s reflections contained in his first encyclical, “Deus Caritas Est.” The then Pope underscored that, indeed, the Canon Law Code describes in detail the duties of bishops for what concerns catechesis and liturgy, but it does not provide an equally detailed description for what concerns the service of charity. Moreover. In that encyclical, Benedict XVI affirmed that «as our preceding reflections have made clear, the true subject of the various Catholic organizations that carry out a ministry of charity is the Church herself—at all levels, from the parishes, through the particular Churches, to the universal Church,» thus underscoring that the service of charity is as substantial in the Church’s life as the preaching of the Word and the administration of sacraments. Charity is one of the Church’s constitutional dimensions. Reading Benedict XVI’s words, it is easy to see their strong echo in Pope Francis’ words and spirit. 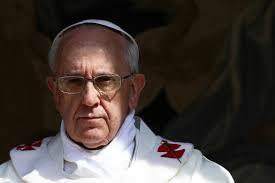 In fact, Pope Francis does no more than follow his predecessor’s trail. Pope Francis does not love institutionality, but the institution and the juridical framework are important: they ensure freedom. The circular letter with guidelines for the financial management of Religious Institutes follows this trail. True, the letter is full of technical/specialized issues: it recommends having contingency budgets, to plan the distribution of resources, to manage balance sheets and to analyze eventual deficits. The letter also requires the use of external auditors, says that transparency may be achieved through external consultants (but not for any purpose and above all not depleting the institutes’ funds), but above all giving priority to hiring people from Catholic circles and nurturing people within the institutes themselves. This dichotomy between reality and mission is to be avoided. Religious people with a concrete sense of reality can be even more supportive on the ground of the Church’s mission and are able to coordinate with charities. Their contribution is even larger. On the background is the notion that the Church’s financial management is not only for the sake of good housekeeping. There is also the notion of a reform of hearts, as requested by Pope Francis. As the Church is at the frontline in all the international crisis and Christians are the most persecuted group in the world, this new awareness may help to recover the sense of mission which has sometimes been lost. The works need to be framed in a clear and transparent framework, so that the capacity of carrying on the mission is not just linked to some personal skill. Pope Francis understands this. He always underscores the need of doing charity and going to the existential peripheries and he has highlighted it by giving a new role to the Papal Almoner, bishop Konrad Krajewski, who is informally dispatched all over to deliver the Pope’s charity. According to an urban myth, Pope Francis has asked for a stipend, i.e. a personal fund for him to pass on to the most needy, with no filters: it is a myth conceived by someone’s wild imagination, but one that befits the Pope’s persona. Beyond the practical exercise of charity, clear guidelines are needed to shed light to the inner sense of mission and to better manage finances. Pope Francis has ultimately carried forward Benedict XVI’s quiet revolution. In Paul VI’s spirit. Above average analysis. Thank you for contextualizing Francis’ initiatives within the history of his predecessors.